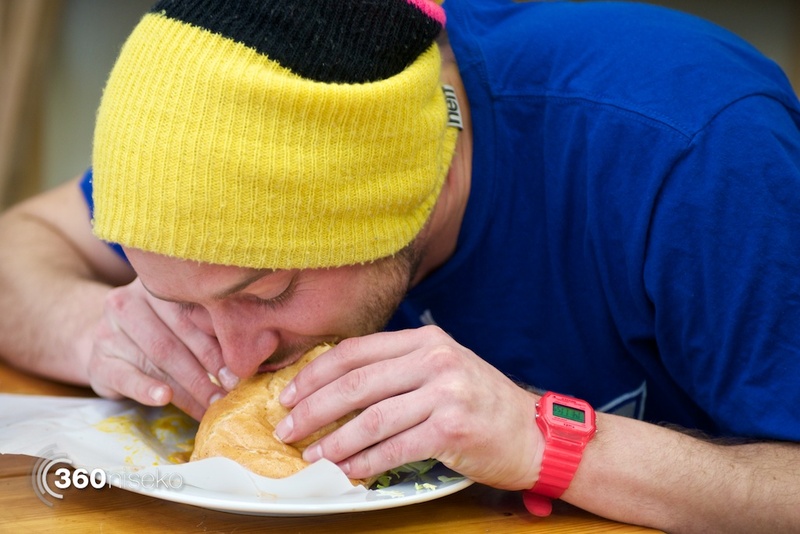 Many restaurants want the ‘best burger in town’ crown, but does Waza have what it takes? You’d be forgiven for not knowing about Waza’s Cafe due to hidden location to regular passers-by. At first, you may think you are in the wrong location, as the cafe is actually inside Inn Niseko, which is a basic hotel/backpacker/staff accommodation near the Ace Family Pair lift. You have to walk into the building, down the hallway and into the dining room. It feels a little odd at first going inside what feels like someone’s accommodation, but it works. The small cafeteria is run by long time resident, Waza, who you may have seen wondering around town in his black leather coat and hat with his basket of homemade bagels for sale. Waza has been making burgers in various places around town for years now, so expectations were high. There were several options available, from a standard burger, to bigger meals like bacon and cheese, chicken, avocado and bacon and the lot (bacon, cheese, egg). Feeling slightly gluttonous, a ¥1450 burger with the lot was ordered, and it was love from first sight/bite. Pictures don’t do the scale justice – it is definitely a two handed operation. The burger was simple, but done well. The fresh buns were toasted, the patty was thick and juicy, the cheese was melted in all the right ways, the bacon was crispy and the egg straddled that perfect line between a runny mess, and solid. It is a messy meal, and definitely not date food. But, if you do take a date, and they’re not put off by the mess you have to make to eat this monster, then chances are they are worth seeing again. 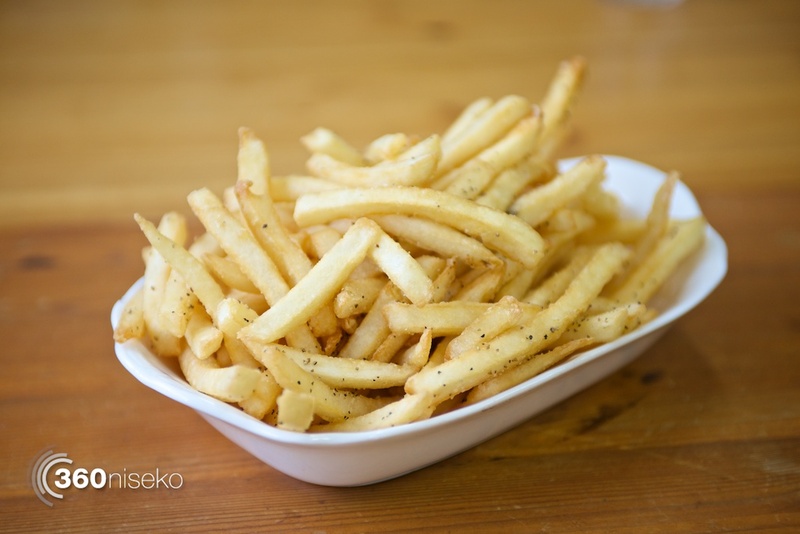 A hamburger meal isn’t complete without a fries, and like the burger, Waza serves up a big bowl of simple but delicious and crispy fries. Trying to avoid bread? 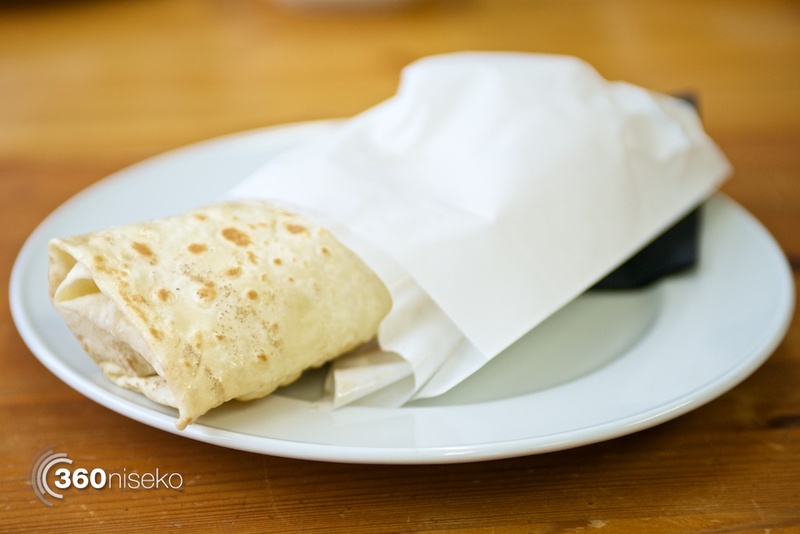 The café also serves up unsurprisingly large burritos, which look amazing. 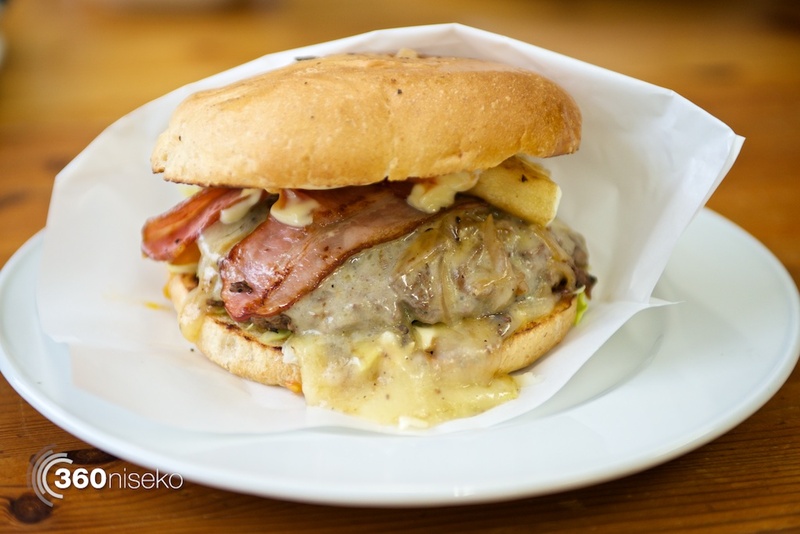 So, is it the best burger in Niseko? It’s certainly the best that I’ve eaten, and I’ve eaten a few!